You know your business needs leads, and plenty of them, to drive sales. Generating leads, however, is only part of the equation. Because if you’re not able to turn those leads into sales, they aren’t doing you much good. But how do you turn those leads into sales? The answer: you find an effective way to move them down your sales funnel. And with the strategies below, we’re going to show you how to do just that. Email and content marketing are two of the most heavily used marketing strategies for both B2B and B2C companies. And why wouldn’t they be? After all, we know that email can deliver an ROI of up to 4,400%. And while content marketing ROI is difficult to measure, studies show that 70% of consumers would rather learn about a company through content than an advert. The thing is, most of these companies don’t understand how to properly combine the two strategies. So how do you combine them the right way? It starts with understanding how content marketing and email marketing tie together. The most important thing to understand here is that content is for education and email is for distribution. Great content is designed to provide answers to consumers’ questions while educating them on solutions to their problems. Great emails are designed to distribute that content to the right people at the right time. When implemented correctly, they form a combination powerful enough to transform your business. So you know your job is to send the right content to the right people at the right time. But how can you do that in the most efficient way possible? Fortunately, email marketing automation makes this complex process fast and simple. Essentially, email marketing automation works by automatically sending a particular individual an email when they meet a certain trigger. So say someone just signed up for an account on your website. 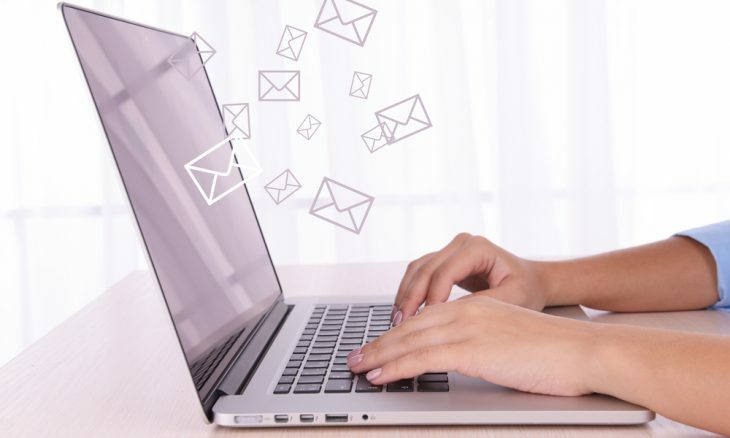 With email automation platforms like Campaign Monitor, a personalized welcome email would immediately be sent to their inbox that could feature links to content that mirrors your products and services. Based on what content they click on, your campaign can be set up to automatically deliver the subscriber additional content on that subject that works them through the sales funnel. You can also set up lead scoring that automatically scores each subscriber based on action they take. For example, a subscriber who continues to click on content that signals they are potentially a higher revenue opportunity customer you can score them higher to move them through your sales funnel faster. Companies like Ladder.io use lead scoring in their email automation workflows to drive significantly higher qualified leads than simple drip campaigns.